Following the rules of ED will provide results as objective and representative as possible. Everybody who is involved in the process is held in respect. 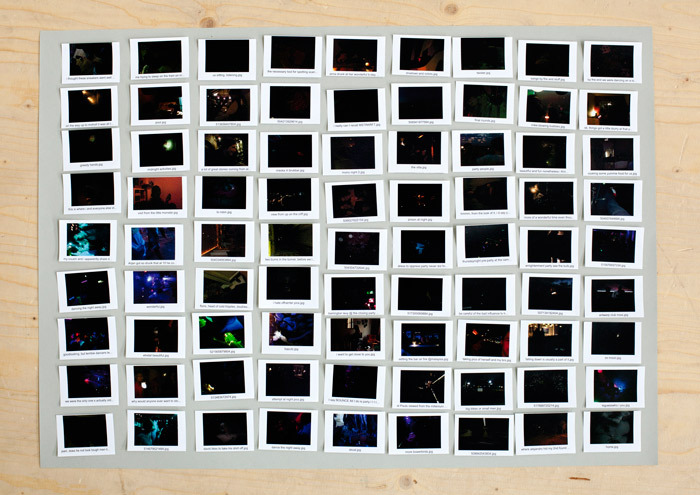 An archive is not a set of random images: it always has an owner. The edit is made according to the expertise based on an established system, professional experience and common sense. Editors are responsible for their decisions. Editors have to be able to justify their actions. Every edit is treated individually and independently. There is no aim to find a pattern, but a singularity. The purpose of the edit is to make a representational model that can substitute the whole. Exceptions can be made in the process, admitting mistakes and changing opinion is appreciated. The edit is done in a strict, but focused manner. Esthetics is considered, but never overrules reason. Authenticity, representation and singularity are the main criteria of the final edit. Knowledge gained while editing has a great value and is taken into consideration during the next edits. Therefore, all the questions and discussions are documented. Accuracy of the final edit and future impact on everybody who is involved stands above all. More than two people should perform the edit to avoid one-sided opinion. Any case of doubt or disagreement is to be resolved by discussion. Decisions have to be unanimous. The archive is the only source of information for the editors. Nothing external that could influence the original context can be added. Personal judgment or assessment is forbidden. Irrelevant remarks and comments are forbidden. The common goal to create a representative model goes above the editors’ personal opinions.